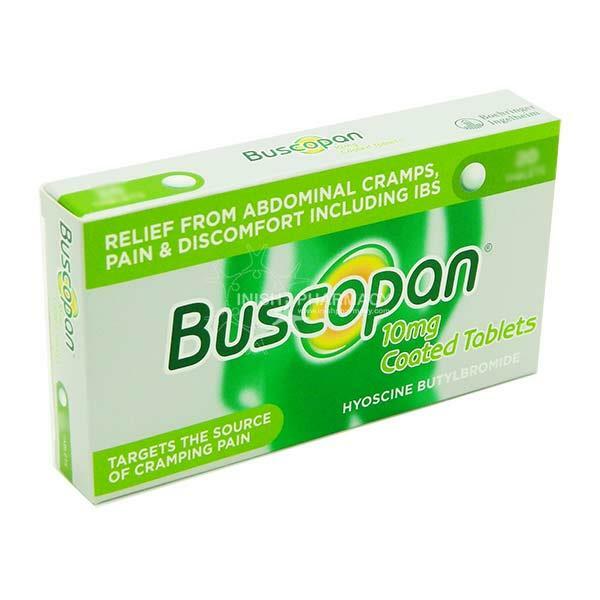 Buscopan tablets are used for the relief of pain and discomfort from abdominal cramps and spasms. Buscopan contains Hyoscine and has an antispasmodic effect and relaxes the cramping muscles of the stomach and bowel. Buscopan can be used for Irritable Bowel Syndrome (IBS). Adults and children over 12 years: Take two tablets up to four times each day. Each tablet contains 10mg Hyoscine butylbromide. Who can take Buscopan tablets? If symptoms do not improve or if they worsen after 2 weeks of treatment a doctor should be consulted.